The motor scooter is the Rodney Dangerfield of the 2-wheel world -- it gets zero respect, but it is a useful and cheap way to get around. 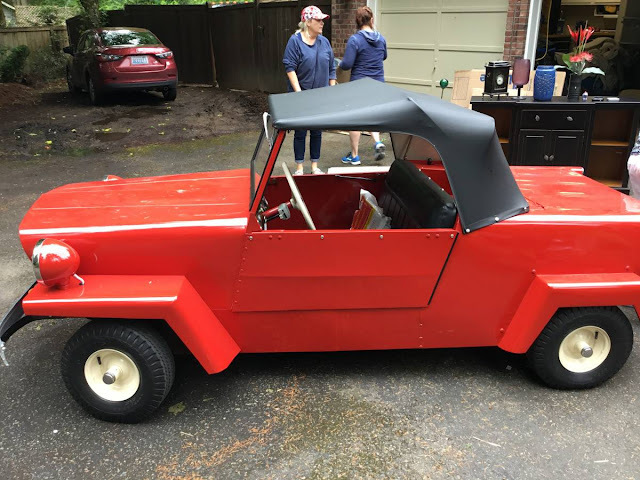 The street legal ATV is the modern equivalent of the 4-wheel motor scooter, but back in post war USA, two Ohio based entrepreneurs built something called the King Midget that was awesome. 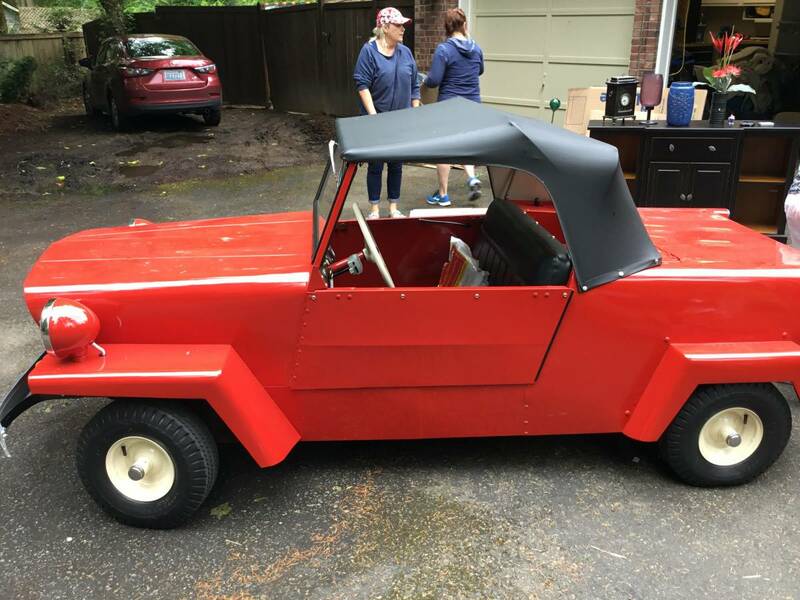 Find this 1967 King Midget offered $6,500 in Kent, WA via craigslist. Tip from Rock On! Claud Dry and Dale Orcutt first started selling these things in 1946 as a kit for $270 -- excluding the necessary sheet metal (for the body) and single cylinder engine. Production continued through 1970 when the new owners overextended production and had to file for bankruptcy (Claud and Dale retired in 1966 and sold the company to over enthusiastic bankers). However, the story continues because as of 2016 someone claims to have acquired the rights to the King Midget name and says production will start in 2018. Stay tuned! I sometimes see one of these on my way to work in someones driveway. 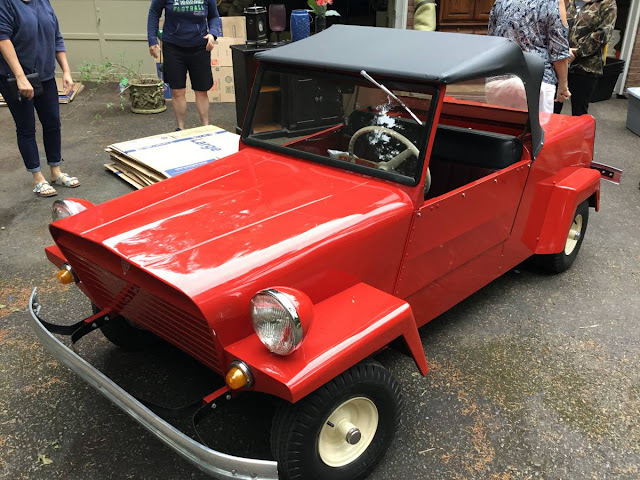 I'm not sure I'd fit in one, but it's super cool.